MIAMI -- A survivor of a mass shooting that killed 17 at a Florida high school in February is calling for a boycott of two of what he says are the biggest investors in gun manufacturers: BlackRock and The Vanguard Group. Marjory Stoneman Douglas High School senior David Hogg used the hashtags #BoycottVanguard and #BoycottBlackrock in a Tuesday tweet. Both companies said in statements Wednesday that they offer clients opportunities to select funds that do not include gun manufacturers. Carolyn Wegemann, a spokeswoman for The Vanguard Group, told The Associated Press that 359 of the company's 388 funds do not directly invest in the top three gun manufacturers: AOBC, VSTO and RGR. Blackrock also said in a statement that it "regularly speaks" with gun manufacturers about how they are ensuring the safe, responsible use of their firearms. Former Stoneman Douglas student Nikolas Cruz, 19, is accused of taking an assault-style rifle to the school and opening fire on students, teachers and staff in one of the buildings on the campus near Fort Lauderdale. He is charged with 17 counts of first-degree murder and 17 counts of attempted murder. 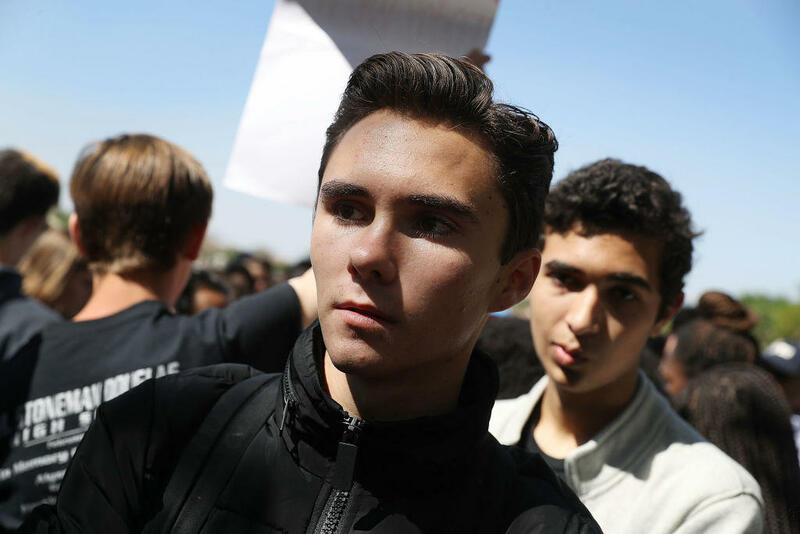 Since the shooting, Hogg and many other students from the Parkland, Florida, school anchored a massive rally against gun violence in Washington on March 24, and throngs of young people took part in sister marches across the country. They also led student walkouts from high schools on the one-month anniversary of the shooting, asking for gun-legislation reform. Their efforts led to gun reform legislation in Florida, which raised the minimum age to buy rifles from 18 to 21 and extended a three-day waiting period for handgun purchases to include long guns. Hogg has also used the boycott tactic before. Last month, he urged his Twitter followers to boycott Fox News host Laura Ingraham's advertisers after Ingraham, citing a story published in the Daily Wire, said in a tweet Hogg whined about university rejections. In the aftermath of the Stoneman Douglas shooting on Feb. 14, Blackrock announced it would offer a new line of products that are exclusively firearm-free. The company said in a statement that the products are available to "certain institutional investors, including qualified U.S. pension plans such as 401(k) plans." It is among the steps Blackrock has taken to "enhance" its Environmental Social and Governance policy. The Blackrock statement said that in addition to discussing the safe use of their products, the company asks manufacturers how they determine where and how the products are being sold. Vanguard is also meeting with gun manufacturers and distributors to discuss "how they plan to help prevent such tragedies from happening again," Wegemann said. "Vanguard shares many individuals' concerns about public safety and firearm access and hopes that policymakers take appropriate action to protect Americans from gun violence," the company's statement said. "Schools, churches and public spaces should always be safe places for all individuals."